Steven Moffat’s tenth season of Doctor Who will be his final season. Two weeks ago, we reported Moffat was looking for his own replacement. Now, Chris Chibnall has been tapped as the next showrunner and executive producer. 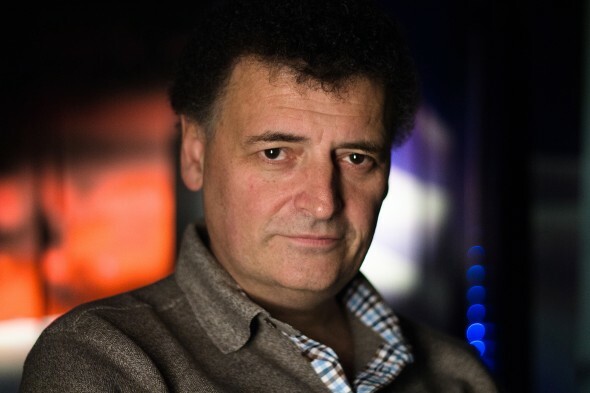 After six incredible seasons at the helm, the multi-award winning Steven Moffat has decided to step down as the lead writer and executive producer of Doctor Who. Steven took over the reins on Season 5 in 2010 and during his tenure the show has become a truly global success. He has been responsible for introducing the Eleventh and the Twelfth Doctors in Matt Smith and Peter Capaldi; as well as two companions Amy Pond (Karen Gillan) and Clara Oswald (Jenna Coleman) and iconic characters and monsters including River Song (Alex Kingston), Missy (Michelle Gomez), Rory Pond (Arthur Darvill) and the terrifying Weeping Angels. Plus, the smash hit 50th Anniversary special in 2013 which saw fans around the world celebrate the world’s longest running sci-fi series with the Doctors, Matt Smith, David Tennant and John Hurt battling the deadly Daleks in a feature length episode. Steven’s final season will air on BBC AMERICA and BBC One in Spring 2017 and there will be a Christmas Special in 2016. Like Steven, Chris Chibnall is also a lifelong Doctor Who fan and a multi-award winning writer and executive producer. He has most recently achieved huge success with the triple BAFTA winning hit series Broadchurch. His other credits include BAFTA nominated The Great Train Robbery, United, Law & Order: UK, Life on Mars and Torchwood. Chris Chibnall’s debut season will launch in 2018. Created in 1998, BBC AMERICA is a hub of innovative, culturally contagious programming like the ground-breaking un-scripted series Top Gear, the top-rated science-fiction phenomenon Doctor Who, and the fan-favorite Orphan Black. The influential channel has been the launch pad for talent including Ricky Gervais, Gordon Ramsay, and Graham Norton — all adopted as American pop culture icons. A joint venture between BBC Worldwide (the commercial arm of the BBC) and AMC Networks, BBCA has attracted both critical acclaim and major awards including four Emmy® Awards, five Golden Globes® and 12 Peabody Awards. The irrepressible network has garnered one of cable’s most curious, educated and affluent audiences, with many properties boasting super-fan levels of engagement. Available on cable and satellite TV in nearly 80 million homes, BBC America broadcasts in both standard and high-definition, is available On Demand across all major digital platforms and offers full episodes online at bbcamerica.com. Find out more by visiting press.bbcamerica.com or follow us on twitter.com/bbcamerica. What do you think? Are you a fan of the Doctor Who TV show? 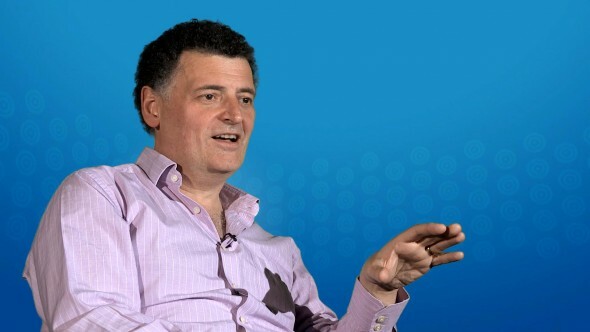 Are you sad Moffat is leaving the series, or looking forward to some fresh blood? Doctor Who: Could Matt Smith Return as the Doctor?